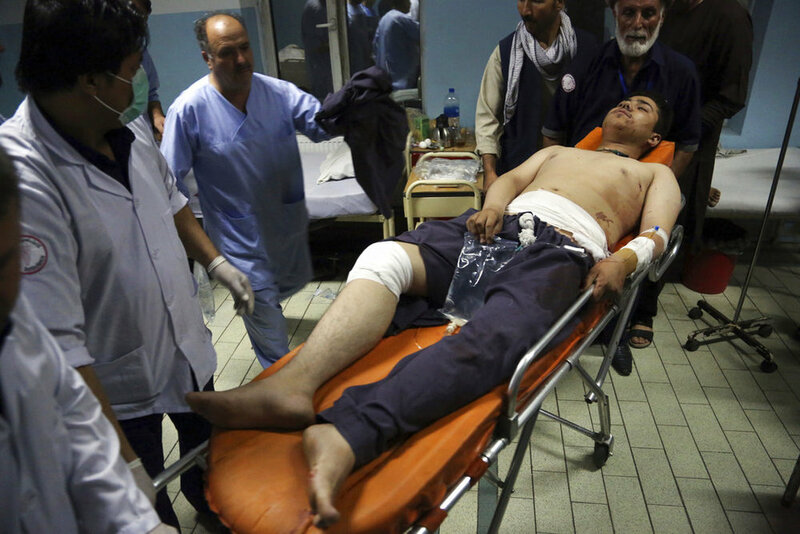 Four days ago, twin bombings ripped through Kabul. Over 20 civilians died, and well over 70 civilians suffered serious injuries. Yet the explosions are only the latest manifestation (and by no means the worst) of Afghanistan’s long history of violence and bloodshed. The country occupies a crucial strategic position, affording military access to Central Asia, South Asia and the Middle East. For centuries, that geostrategic position governed its relationship with successive empires, each bringing more violence than the last. Mahmud Ghazni conquered Afghanistan in the 11th century as part of regional pursuits, as did Genghis Khan in the 13th century, a kaleidoscope of Arab invaders in the 18th century, Britain in the 19th century, the Soviet Union in 1979 and America in 2001. Needless to say, modern America’s “noblesse oblige” in constructing a stable Afghanistan pales against the stiff odds of history. Nation-building and insurgency pacification form the crux of U.S. policy in this landlocked country. America stands in the 17th year of its conquest of Afghanistan, with little to show for it. Even with over 2,400 lives lost, close to 2 trillion dollars spent on war efforts and domestic relief, three separate administrations revising U.S. policy, the deployment of almost 4,000 troops in 2017 and the dropping of “the Mother of All Bombs” in April 2017, the Taliban control or contest 60 percent of Afghan districts. That number includes southern strongholds in Helmand Province and districts in the northwest and northeast. Given that the Taliban holds more territory than they did at any other point in America’s invasion, it’s little wonder that the U.S. government misled the American public last month. The city of Ghazni came under siege in August, quickly overrun by well-armed fighters. After six days and 200 deaths suffered by Afghan security forces, Ghazni returned to government control. But Colonel O’Donnell, chief spokesman for the U.S. military in Afghanistan, offered a different version of events. On Aug. 11, the Taliban were seen controlling every major city intersection, with fighting pushed to the districts bordering Ghazni. On Aug. 12, the New York Times reported that they appeared to be in control of most of the city, with over 100 Afghan police dead. However, Colonel O’Donnell, and by extension the U.S. military, stated that the government continued “to hold their ground and maintain control of all government centers. Tactically, operationally and strategically, the Taliban achieved nothing with this failed attack.” Clearly, American policy in Afghanistan needs a radical change. Instead of pursuing the same cycle of military deployment and air support, U.S. officials must engage the relevant powers in the region. Ironically, parts of Russia’s Afghanistan strategy offer a promising alternative for America to mimic. From December 2016 to April 2017, Russia orchestrated three rounds of negotiations and talks between China, Iran and Pakistan, including Afghanistan in the third round. In October, Russia revived the Shanghai Cooperation Organization, including Afghan representatives, India and Pakistan. Today, most observers argue that the efforts by these powers represent those of aspirational hegemons. Quite simply, such a view is misguided. China, Russia, India, and Pakistan do vie for control and power projection. But that cannot factor into American decisions to engage in diplomacy. In fact, it should encourage American officials to begin overcoming Afghanistan’s fragility by involving these neighboring countries. India, Pakistan, China and Russia share little with each other in terms of national culture, language, economic structure or even military prowess. But none want to see the Taliban conquer Afghanistan. Should a Taliban-led state come to be, the security threats to the region would shoot up overnight. America at least lies somewhat protected by two oceans, but Pakistan shares a border with Afghanistan that it can barely control. India can do without a terrorist regime inciting violence and stoking religious tensions, while China and Russia seek Central Asian infrastructure and energy development. America’s military predominance in Afghanistan ensures that none of these security needs and projects will be threatened. Therein lies the necessity of America in any Afghan conflict resolution. U.S. officials must recognize their position of strength and leverage it to involve the regional powers in stabilizing Afghanistan. If nothing else, the past 17 years demonstrate that all other options cannot bring peace. Shankara Narayanan is a campus correspondent for The Daily Campus. He can be reached via email at shankara.narayanan@uconn.edu.